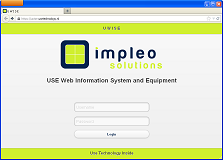 UWISE is a service for supporting your iFuse, CEDD, or DAVI solutions. All these systems can be managed from any place in the world. This ables you to manage your installations realtime, and ables us to support you at any time.